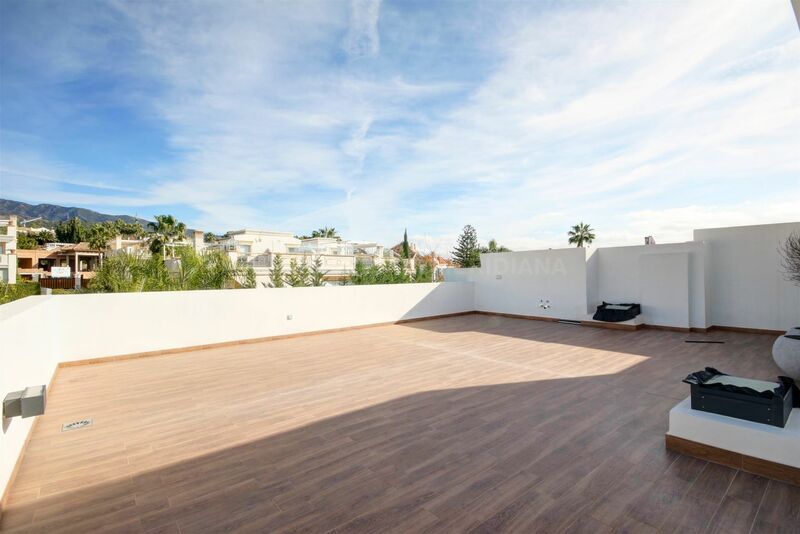 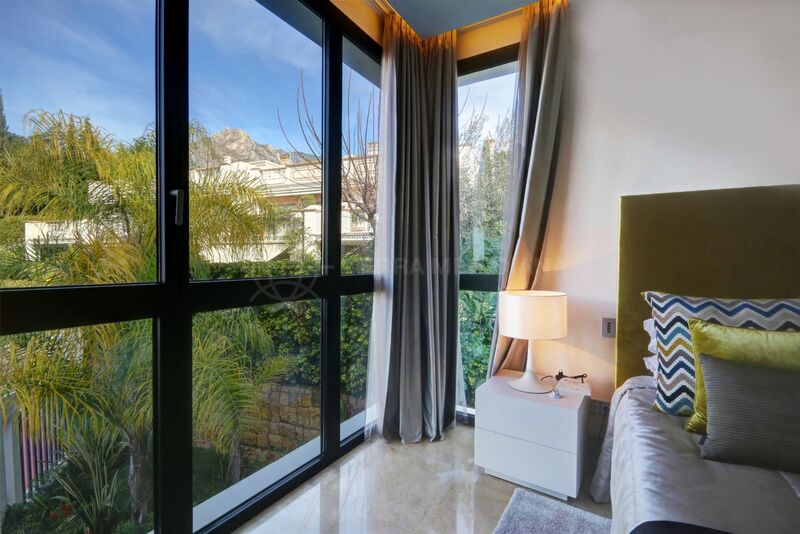 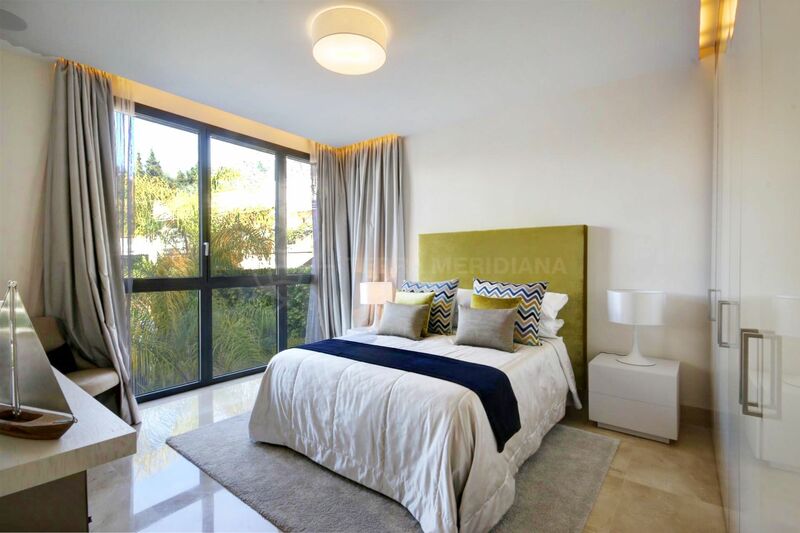 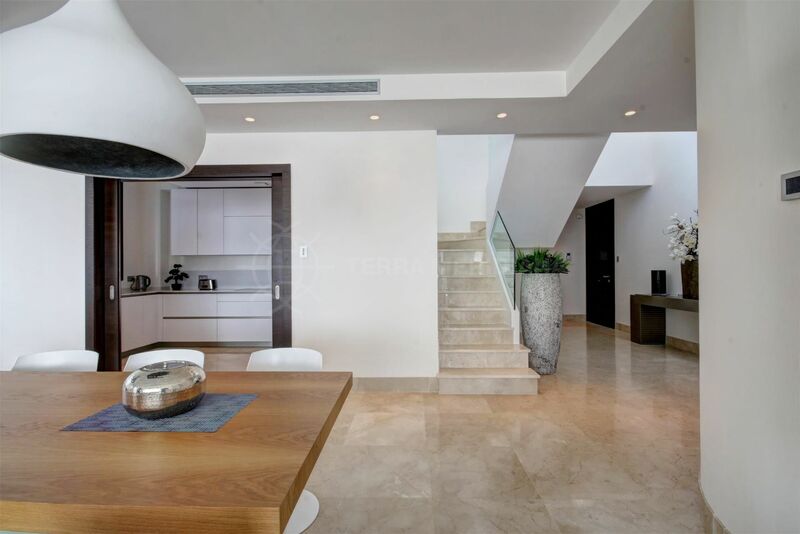 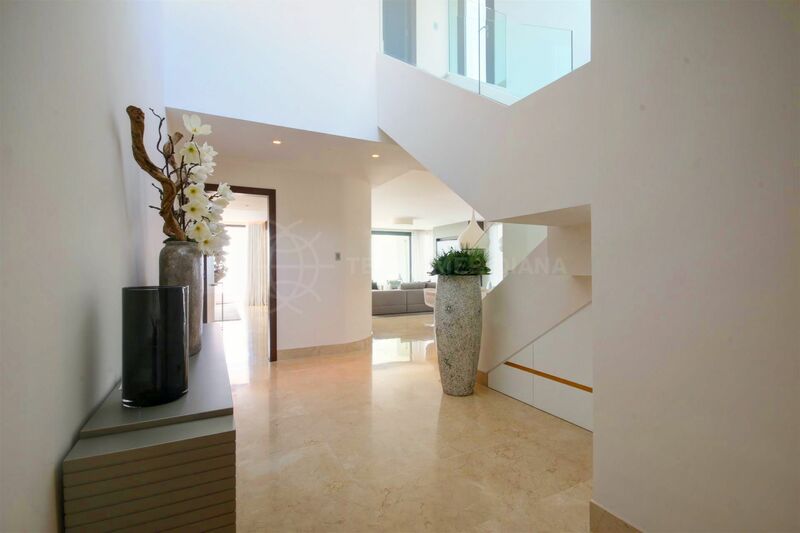 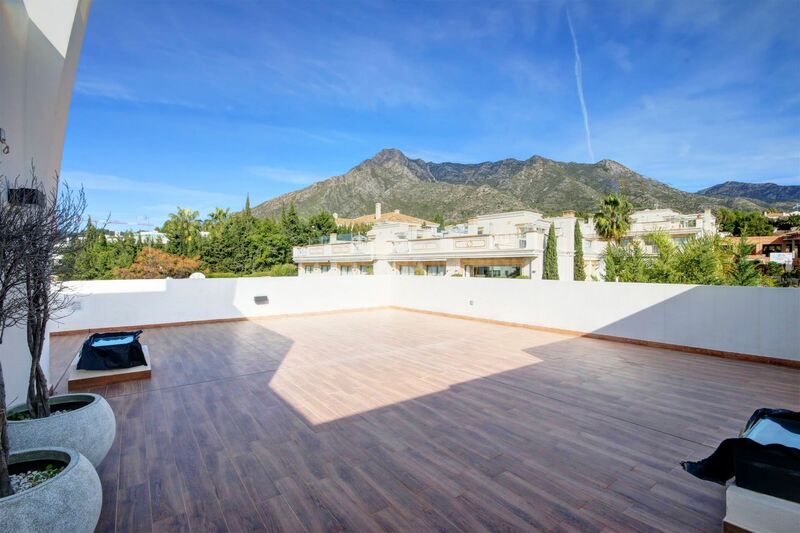 A very large duplex apartment within a gated community in immaculate condition overlooking the Nagueles towards the Golden Mile of Marbella and the Mediterranean sea. 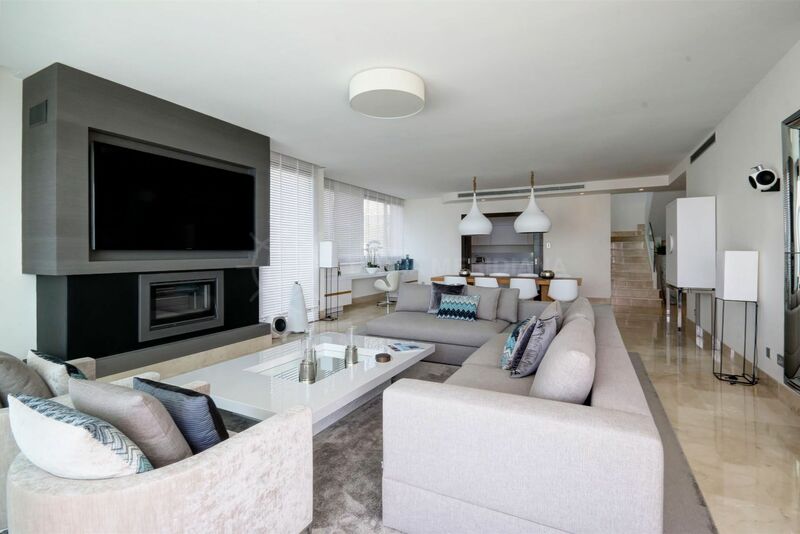 Featuring top of the range appliances, fixtures and fittings, and ample living areas throughout. 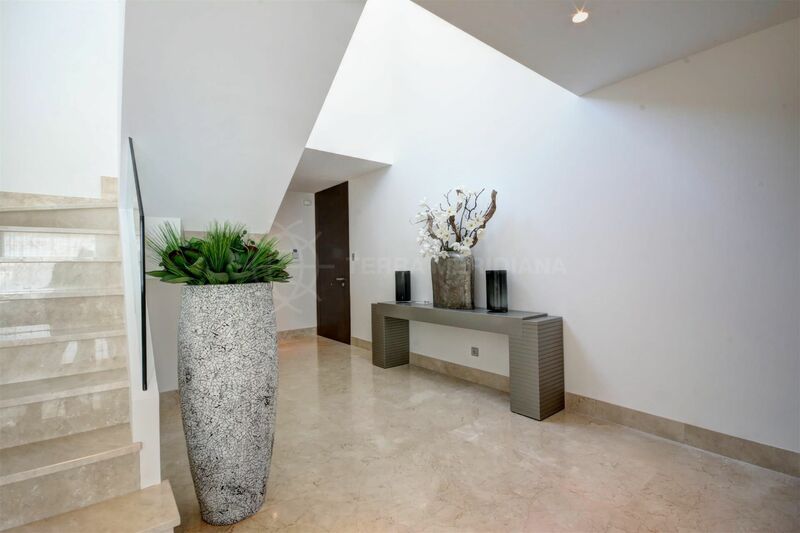 The main entrance hallway has double height ceilings and leads to an open plan living room and dining area with fireplace. 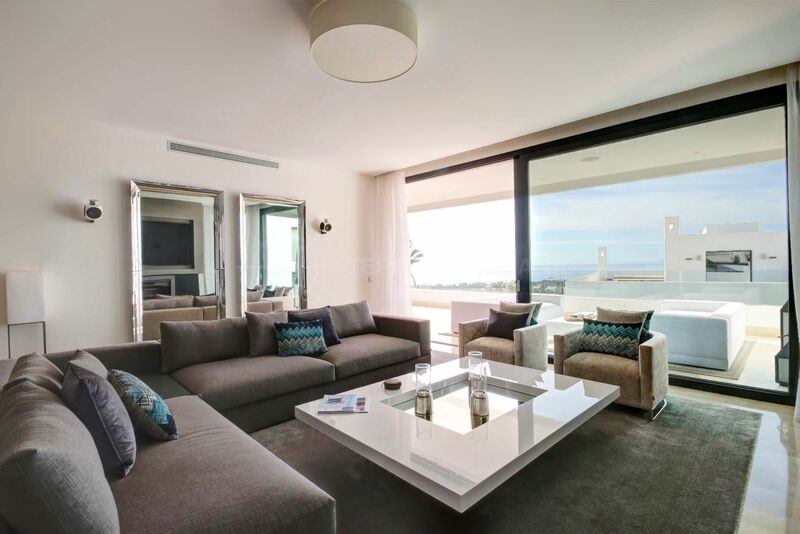 French doors lead to a covered terrace with chill-out areas and outdoor dining facilities whilst enjoying a spectacular panoramic sea view of the coastline. 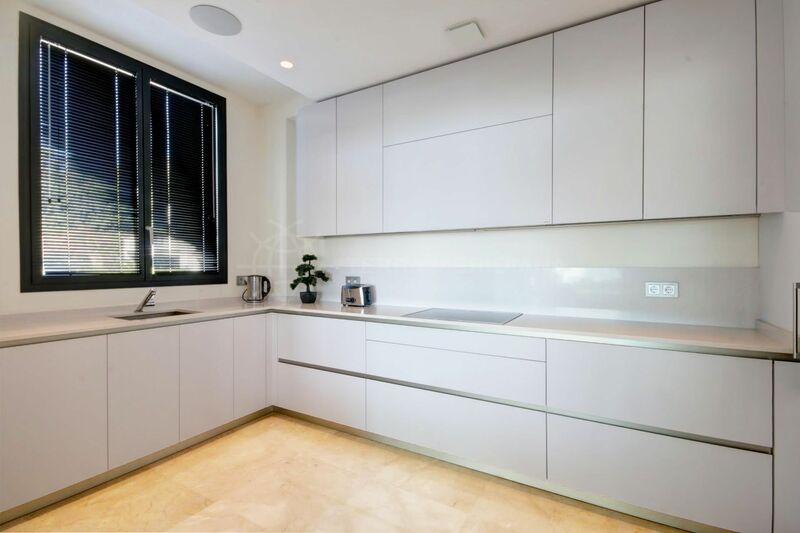 The kitchen is spacious and fully equipped, bright and modern. 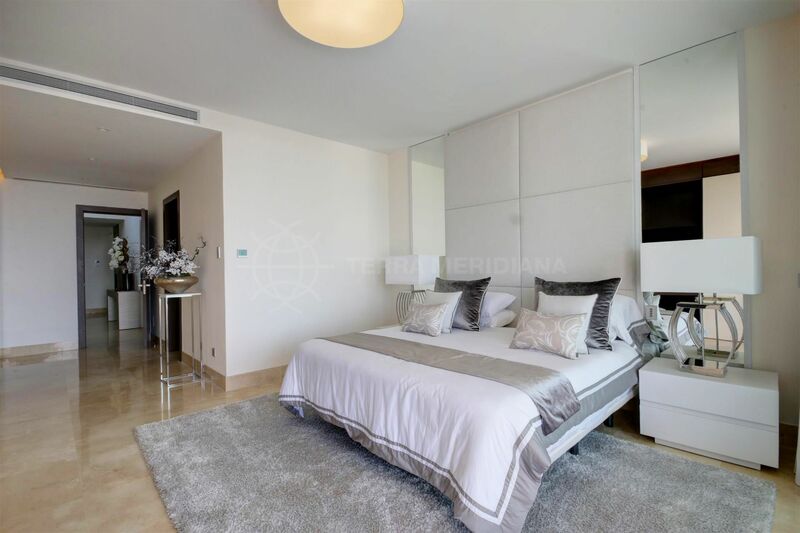 Furthermore on this floor there are 3 double bedrooms all of them with luxurious en-suite bathrooms and built in wardrobes. 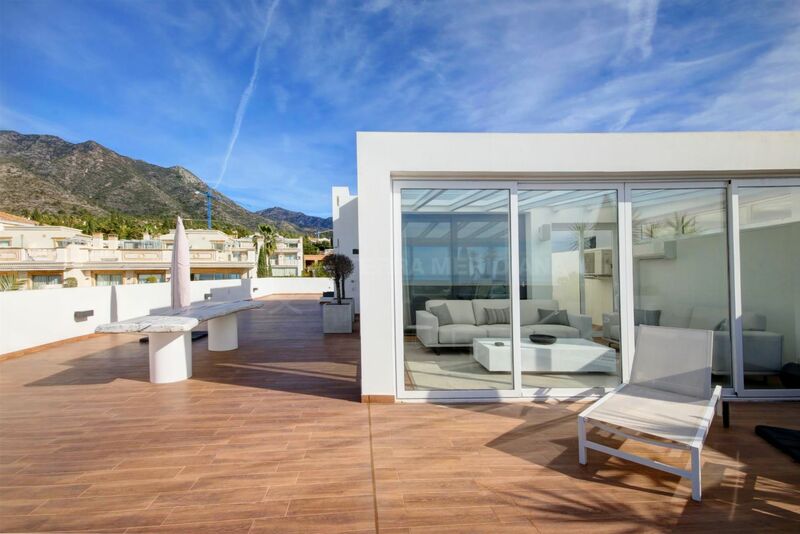 The top floor has a further double bedroom and a bathroom on the hallway, a door leads to a huge solarium terrace with a conservatory style living area or reading room, expansive terrace space for sunbathing, outdoor dining and entertaining all with 360 degree view of the sea and the La Concha Mountain. 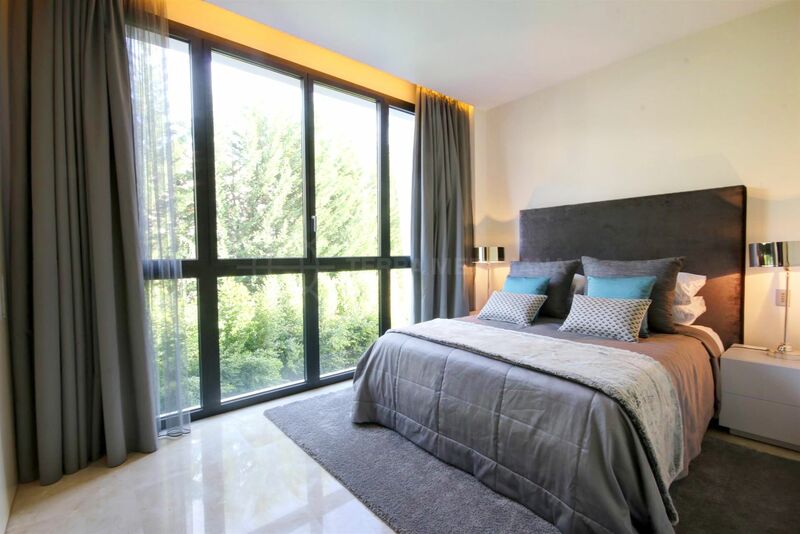 The complex features private underground parking spaces, a swimming pool, lift access and beautiful communal garden areas. 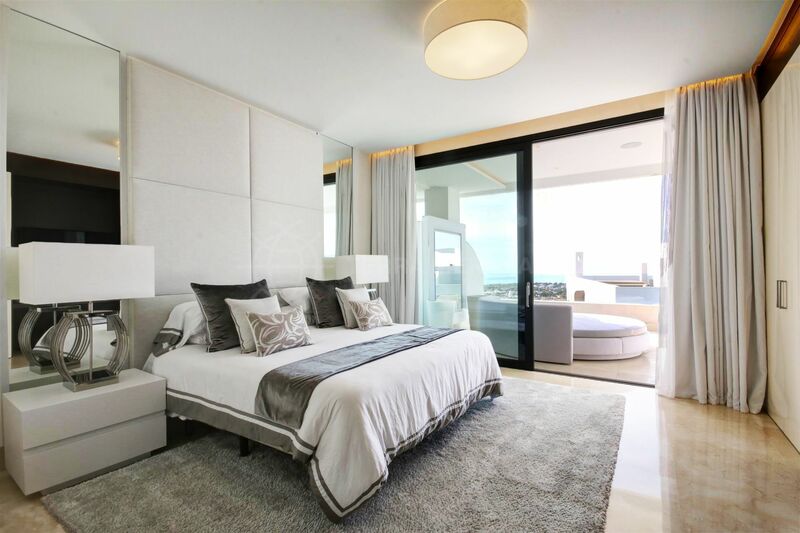 Marbella promenade and marina are accessible within less than a 5 minute drive, as well as the prestigious area of Puerto Banus, known for its lively night life and bustling cafes and restaurants in the day time. 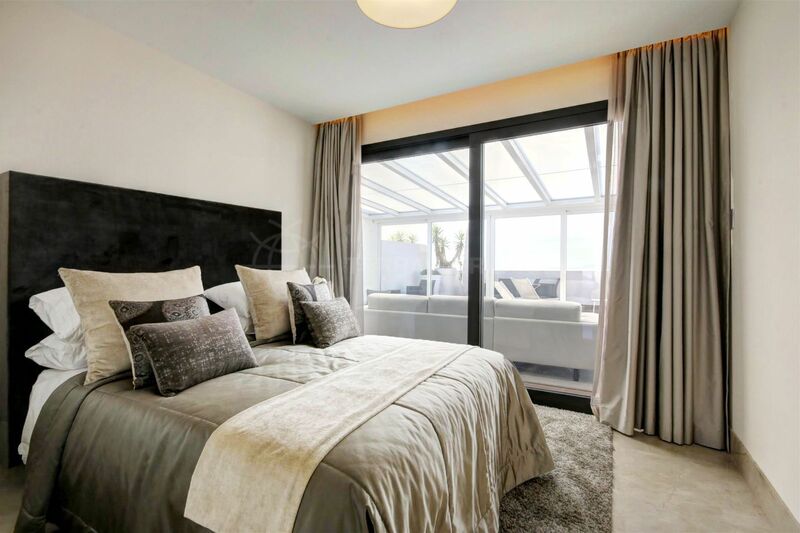 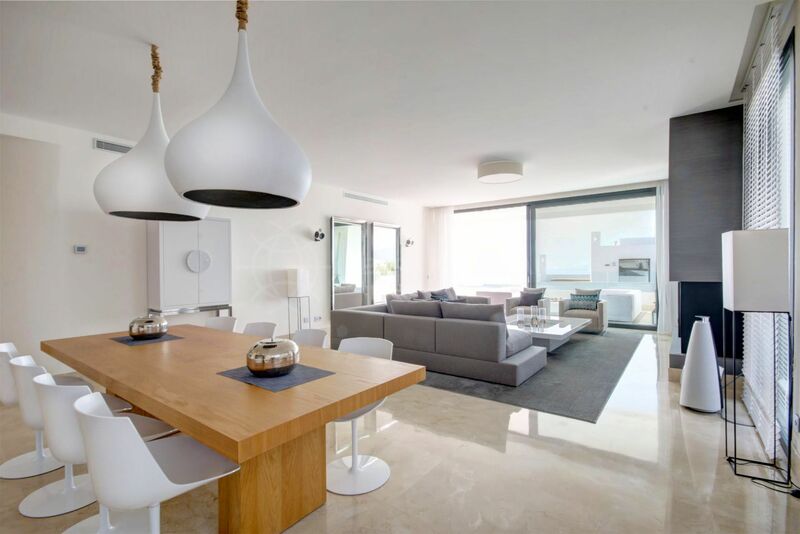 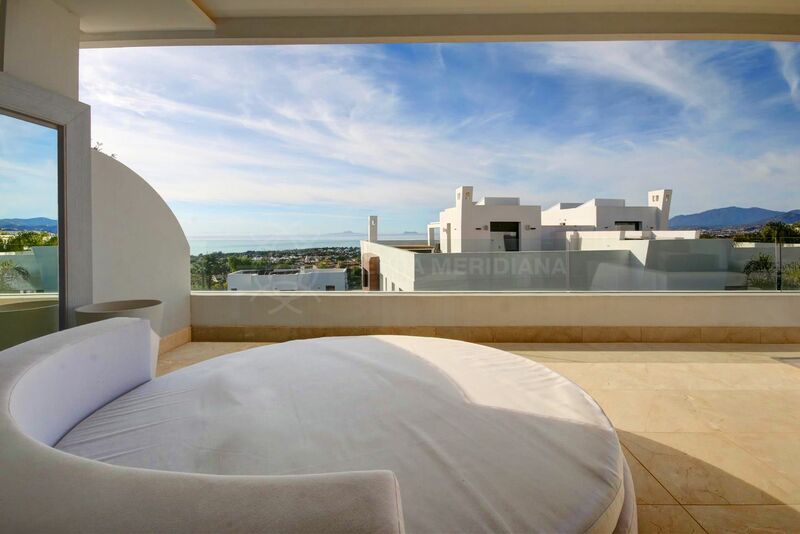 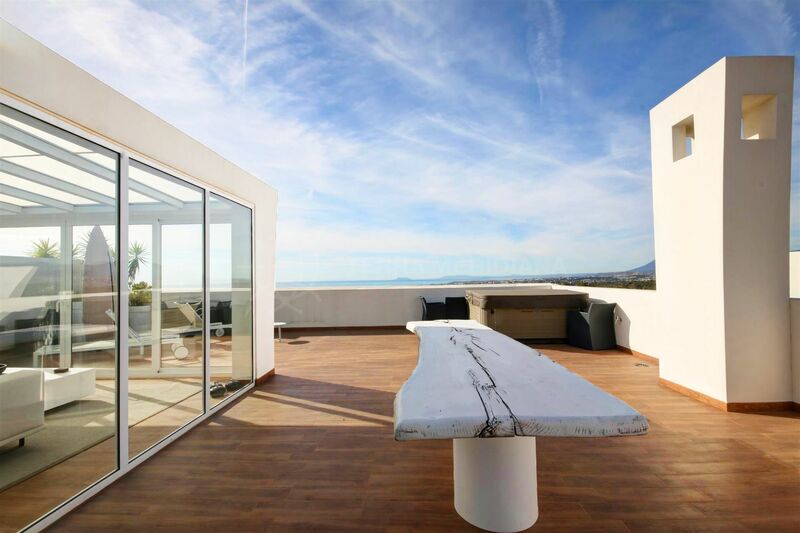 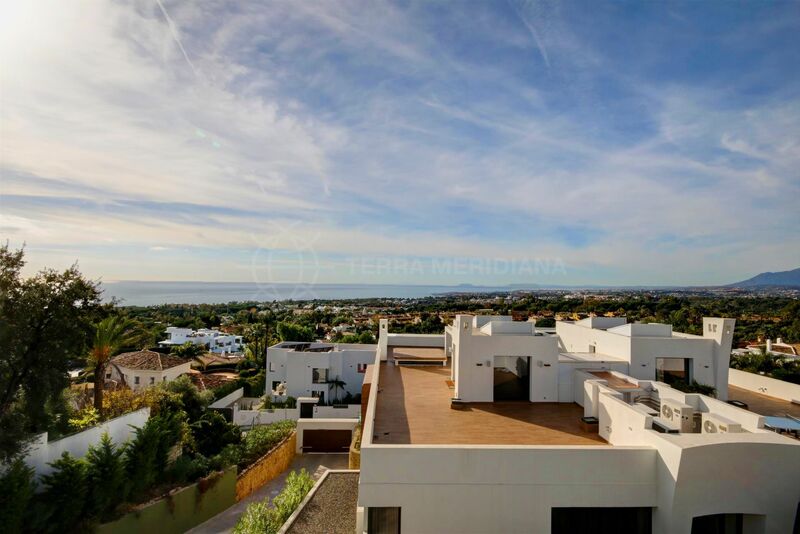 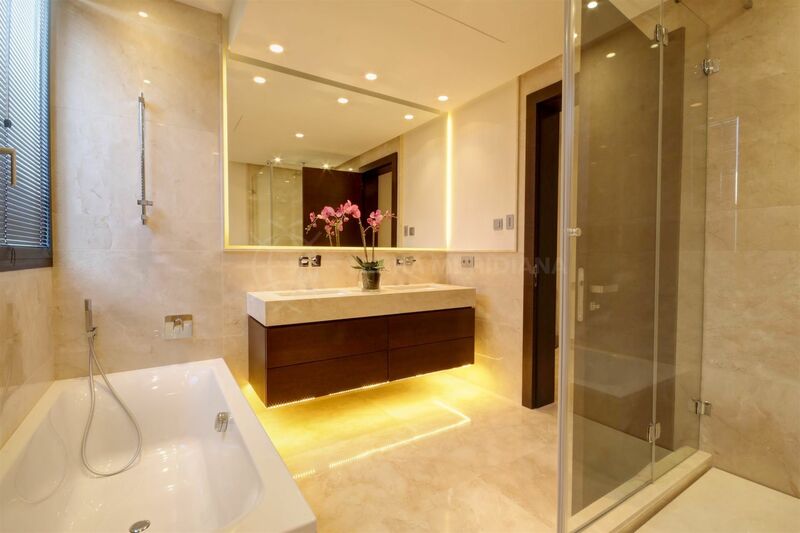 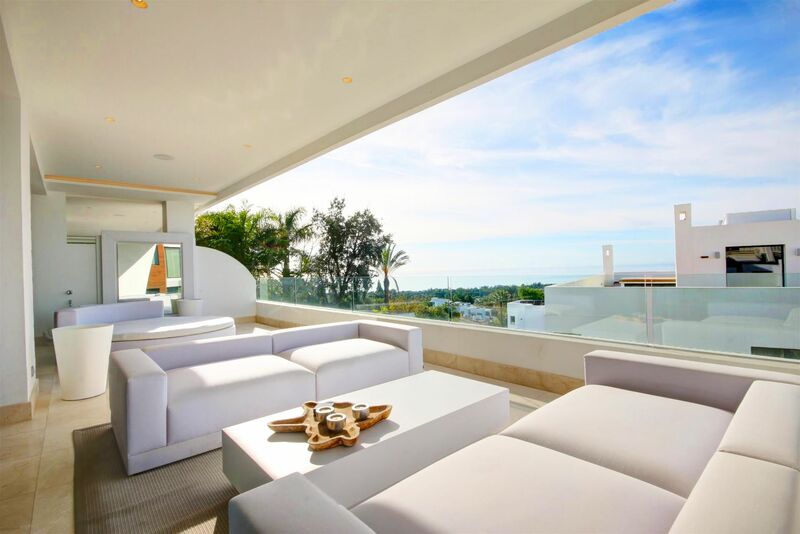 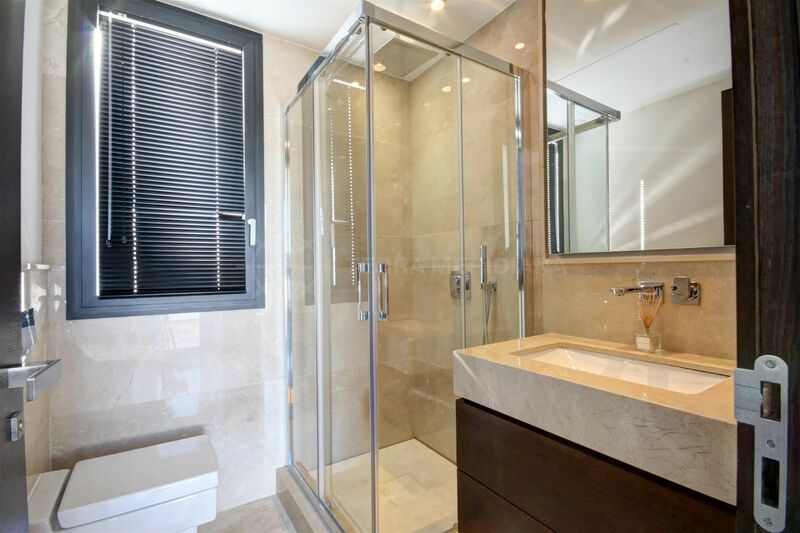 Please, send me more information about ref TMRA0750, Duplex Penthouse in Reserva de Sierra Blanca, Marbella Golden Mile or similar properties.